Today we are experiencing a renaissance in the hemp industry. 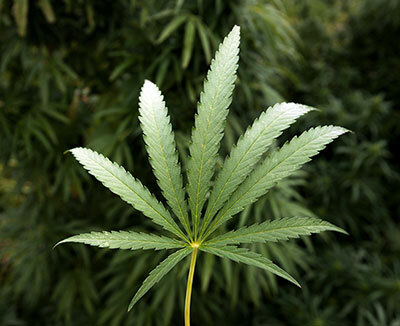 Growing worldwide support for hemp-derived products is growing and laws and support from regulating bodies is moving forward in a way that many have dreamed of for decades. While this forward progress is encouraging, the landscape surrounding CBD products can be confusing even for those deeply involved. In December of 2018, President Trump signed into law the 2018 Farm Bill. In this bill, hemp was removed from the Controlled Substances Act (CSA) of 1970 through separate definition from THC-rich marijuana. Specifically, the bill defines now legal hemp as: "all parts of the plant less than 0.3% THC, including “derivatives,” “extracts” and “cannabinoids”". The hemp that is used to create the products we sell at Big Sky Botanicals is grown under an industrial hemp licence and in compliance with the 2018 Farm Bill. As a result the products we sell on our website are federally legal. The 2018 Farm Bill gave states and tribal governments the power to regulate the production and sale of hemp products within their borders. We are continuing to monitor and adhere to state-level laws. We continue to monitor FDA and USDA regulations on the hemp supplementation industry and comply with all regulations set forth. For more information, please see the summary of the changes implemented by the 2018 Farm Bill compiled by the US Hemp Roundtable here. Producing our products in a facility that is Good Manufacturing Practices (GMP) Compliant and fully licensed and registered with the Colorado Department of Agriculture. Utilizing organically grown, non-GMO, pesticide free, hemp. 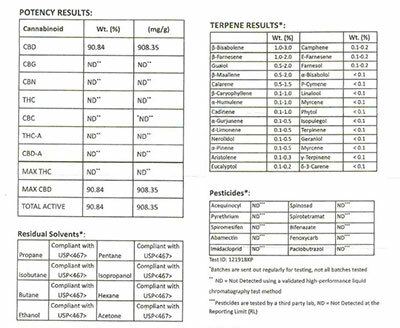 Providing batch level lab reports for each of our products, verifying potency & purity. If you have any questions or concerns, please feel free to contact us and we will be happy to answer your message.